Be sure to make your hotel reservations! Click HERE for Registration Information for Master Track XIII in 2020. 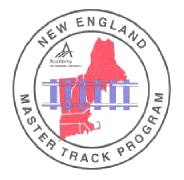 What is the New England Master Track Program? NEMTP was developed in 1991 to easily and effectively meet the hands-on continuing education requirement for AGD Mastership. Since the program's inception, a new Master Track group starts, consisting of approximately 25-30 participants, every 2 1/2 years and goes through a series of 10 courses to fulfill the 360-hour mandatory and 40-hour elective discipline participation requirements. Programs are given in the spring and fall of each year over a period of 5 years in Nashua, NH--with a final presentation at the eleventh session. The next Track (13) will begin in March, 2021. Each course starts on Friday and ends on Sunday. The first two days are devoted to lecture on a specific discipline or set of disciplines. The third day is spent presenting the results of your course assignment from the previous meeting. Many members meet on Thursday evenings on our private floor lounge to socialize, discuss, network and relax. How many hours will I earn? Generally, you will spend 8 hours in a lecture on both Friday and Saturday and 8 hours on Sunday reviewing the presentations. Participants can earn up to 24 hours. If the homework and the presentation are successfully completed participants can earn up to 16 more hours. The total number of hours earned for each session is 40 hours. Why go for your Mastership, and why do it through the NEMTP? If you are already an AGD Fellow you know the value of continuing education. Mastership in the AGD not only commands respect, and the prestige associated with advancing your dental education to the highest AGD level, it also equips you with the most up-to-date knowledge in those areas of dentistry most applicable to providing comprehensive care. NEMTP provides you with outstanding, University-based instructors, from area dental schools such as BU, Harvard, Tufts, and UCONN, as well as other nationally recognized leaders in their field, who give a complete series of hands-on courses. These courses meet all the required participation credits for AGD Mastership in a close-knit, study group environment. These programs are often difficult to find on an individual basis and would require more time and expense if done outside of a standardized format. How many dentists have achieved Fellowship and Mastership? Less than 5% of practicing general dentists in the United States have achieved Fellowship, and less than 1% of practicing general dentists in the United States have achieved Mastership. The NEMTP tuition is $8,000, currently presided over 10-three day courses and a final presentation day (1/5 of dues due to each March session), exclusive of room and board), making the per hour cost of continuing education a real bargain. This is especially true if you consider the quality of the courses and the pearls one always picks up talking with other dentists in a closed environment! Because NEMTP is a study group format, it must be emphasized that once you join the Track you will be financially obligated whether you can attend a particular weekend or not. Sessions missed can be made up at no extra charge during the subsequent track. If you are local to Nashua or choose to not stay at the hotel, there will be a $50 per day fee to cover the hotel expenses incurred for hosting the Master Track meeting paid by all members. Payments are made once per year in the amount of $1,600. Any member of the AGD who is progressing towards or has obtained a Fellowship status may subscribe to this package. Most members come from New England and New York but the program is also offered to residents of Eastern Canada. Call now for more information and to register. Space is limited to a maximum of 35 participants. Your enrollment reserves your space in the complete package. For further information, contact Dr. Navkiran Dhillon at [email protected].com. Build life-long friendships and professional ties while progressing towards your Mastership! 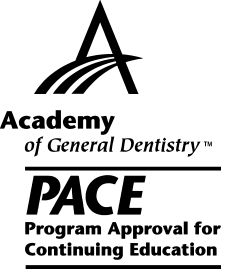 Approved PACE Program Provider FAGD/MAGD credit. Approval does not imply acceptance by a state or provincial board of dentistry or AGD endorsement.